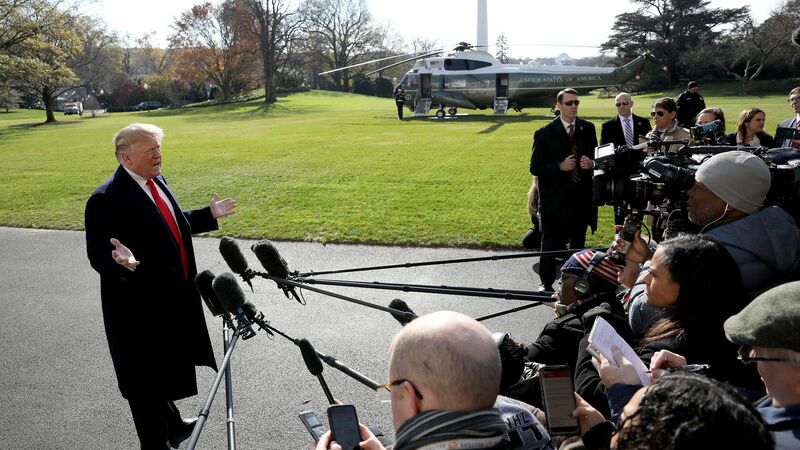 While Democrats jumped on the news that President Trump's former attorney Michael Cohen struck a plea deal with special counsel Robert Mueller, Trump and his team attempted to spin Cohen as "weak" and a "proven liar." 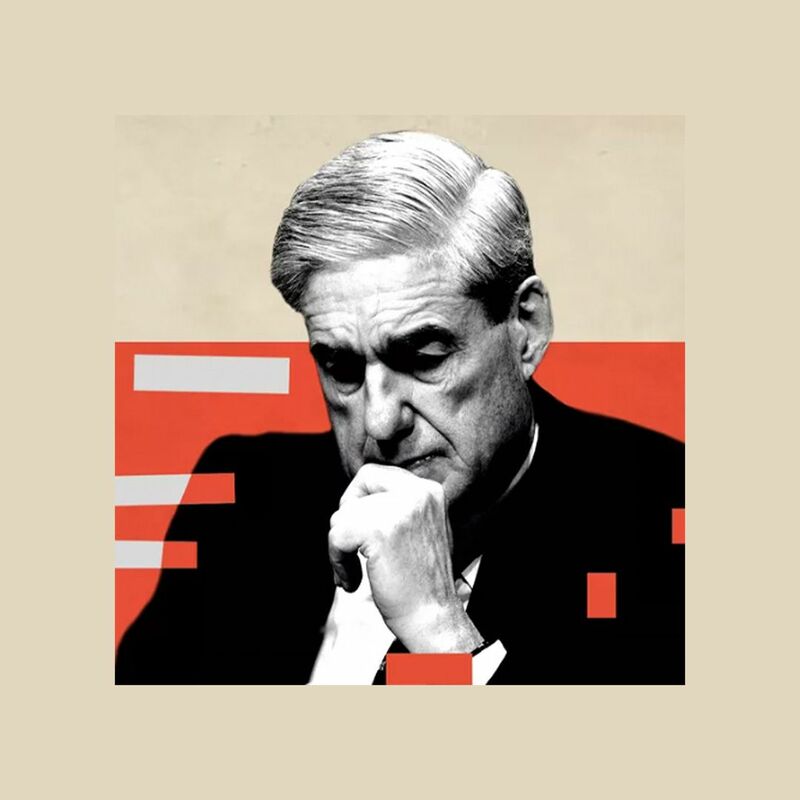 The big picture: Speculation is mounting that Mueller's investigation may be nearing its endgame, especially after Trump handed over answers to a list of questions from Mueller's team. And that's bolstered by Democrats' eagerness to get started on their own oversight investigations of Trump and his ties to Russia when they take control of the House next year. President Trump: "Michael Cohen, what he's doing — he was convicted I guess ... with a fairly long-term sentence on things totally unrelated to the Trump Organization. ... And he's a weak person ... and what he's trying to do is get a reduced sentence, so he's lying about a project that everybody knew about." Trump lawyer Rudy Giuliani, per CNN's Steve Brusk: "It's no surprise that Cohen lied to Congress. He's a proven liar who is doing everything he can to get out of a long-term prison sentence for serious crimes of bank and tax fraud that had nothing to do with the Trump Organization ... [H]ardly coincidental that the special counsel once again files a charge just as the president is leaving for a meeting with world leaders at the G20 summit in Argentina. The special counsel did the very same thing as the president was leaving for a world summit in Helsinki." House Speaker Paul Ryan, per ABC News' Meridith McGraw: Cohen "should be prosecuted to the fullest extent of the law." Incoming House Intelligence Chairman Adam Schiff (D-Calif.), per NPR's Tim Mak: "All these developments make clear the counterintelligence imperative for the House Intelligence Committee, in the new Congress, to continue to probe the Trump Organization’s financial links to Russia." Incoming House Judiciary Chairman Jerry Nadler (D-N.Y.): "Anyone who still believes that this is a 'witch hunt' must now face the reality that the investigation appears to be closing in on the President." Sen. Mark Warner (D-Va.), vice chairman of the Senate Intelligence Committee: "This is yet another example of the President's closest allies lying about their contacts with Russia. ... Special Counsel Mueller's investigation must continue — free from political interference by the President — until the truth is out, and Congress should pass legislation immediately to make sure that happens."